As a child, I grew up seeing my grandmother running her own Kimono shop in Osaka. From that day forwards, I always hoped to start my own company one day. In my 20’s era, I was a little lost – constantly analysing growth markets every day. I realised that just watching markets was not enough; I needed a mission. A life changing event in 2011 brought my purpose into focus, and that was the birth of kay me. Our mission to ‘support ambitious women be the best they can be’ is still young, but we are growing fast. With so many incredible customers, amazing artisan factories, bases in Tokyo and London and seven shops, we’re bringing together people from different countries and backgrounds to follow the kay me vision. ’No person is an island’ – ‘supporting ambitious women’ and bringing ‘made in Japan’ to the world means we need talent and drive – if you have these qualities, we look forward to hearing from you soon! Junko Kemi is the founder and lead designer of kay me. She started kay me in July 2011 in Ginza, Tokyo. In 2008, Kemi also established a marketing consulting company, after providing consulting services as a management consultant at Boston Consulting Group from 2004 to 2007. She mainly provided consulting service to the financial, IT, and energy industries. Kemi first built her career in marketing and sales for a nationwide publishing company,Benesse. Kemi has received numerous awards for her entrepreneurship, including the ‘5th DBJ Women Entrepreneurs Grand Prize‘ by the Development Bank of Japan in 2016, the ‘2015 Entrepreneur of the Year’ by the British Chamber of Commerce in Japan as well as receiving a merit award in the Global Strategy category at the '2014 MIT Venture Forum of Japan'.Kemi holds a BSc in History from The University of Waseda, Japan. I stepped inside a factory for the first time as a 4-year-old. Growing up in the UK, I spent long summer holidays in my uncle’s sock factory. Founded in 1908, the artisanry of beautiful sock making has become part of my town’s DNA. I learned how something so simple that we take for granted every day requires amazing people to get right. Many of those traditional businesses are now struggling both in the UK and Japan. Artisan made goods are still in demand, but industries need to move with the times. At kay me, we want to move ‘ahead of the times’. As a producer of artisan goods, we see effective use of cutting edge technologies as a way to bring our vision into the 21st century, allowing our customers to enjoy our products and services exactly when and how they need them. kay me has lots of exciting opportunities as our company grows beyond fashion. If you are ready for the challenge, we’re waiting to hear from you. Born in the UK. Received a Degree in Physics from the University of Warwick. Worked as a consultant at Ernst & Young from 2002-2004 in London. Appointed as the speech advisor for the 2020 Tokyo Olympics for the global human resources consulting firm EST Holdings Ltd., founded in 2004. 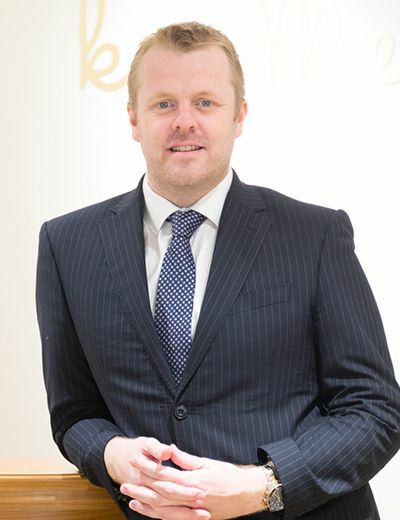 Faulkner has been part of the kay me team since 2014 and became director of kay me international as he aided in its establishment. Besides his responsibilities managing overseas business operations, he uses his previous work experiences to develop business and promotional strategies. Faulkner also handles internal affairs, such as organization design and human resources. I first met kay me right after the brand was founded. I felt something attractive in kay me’s advertising, and casually popped into a shop after work. Then a fuchsia pink coloured dress held my attention at the shop which was still a condo located in Ginza. It was a colour that I never put on (I had rather tended to avoid such a colour), but I found its comfort level was totally different from others! ‘This dress will energized me at work’ – this is the feel I got, and I immediately purchased it. Several years have passed, but the first impression I had with kay me has never changed since then: a sense of mission to expand working women’s world with no stereotype, toughness of overcoming challenges, and being passionate and unshaken in pursuing objectives. I feel kay me has a power to encourage those who wear it – to be freer and be more myself. Feel empathy with kay me’s vision? Not satisfied with conventional framework? Able to find an issue proactively to cope with it? Able to become both a leader and follower? Never fail to have sense of humour? If you are a person like that, let’s take on a challenge together. We’re looking forward to seeing you! 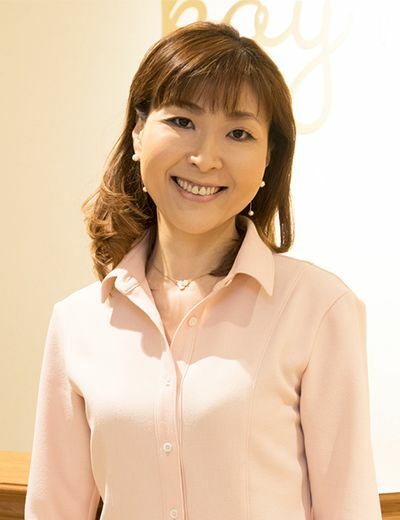 Makiko Nakamori acts as a key advisor to kay me in financial and strategy aspects. Coming from a career at NTT (Nippon Telegraph and Telephone Corporation) and Arthur Andersen LLP, she has been mainly occupied as an auditor for foreign-owned enterprises. After establishing ‘Nakamori CPA Offices’, Nakamori undertakes accounting as well as auditing roles. She gives advice and support from her long experience as an outside director on management and governance to companies ranging from listed enterprises to venture corporations. She acts as an outside auditor for istyle Inc., M&A Capital Partners Co.,Ltd., NEXT Co.,Ltd. and TeamSpirit Inc. in addition to kay me. 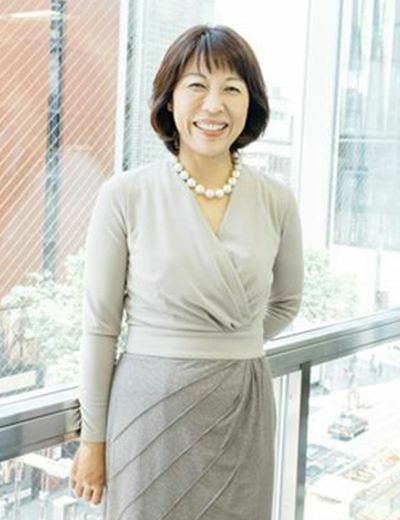 She is also an outside director for ITOCHU Techno-Solutions Corporation. Nakamori is a graduate of the School of Economics, Kyoto University.